This episode: In mice genetically modified to have Alzheimer's-like disease, giving probiotics reduced their degeneration! Bonfili L, Cecarini V, Berardi S, Scarpona S, Suchodolski JS, Nasulti C, Fiorini D, Boarelli MC, Rossi G, Eleuteri AM. 2017. 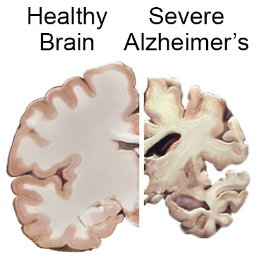 Microbiota modulation counteracts Alzheimer's disease progression influencing neuronal proteolysis and gut hormone plasma levels. Sci Rep 7:2426. Post questions or comments here or email to bacteriofiles@gmail.com. Thanks for listening! Subscribe: iTunes, RSS, Google Play. Support the show at Patreon, or check out the show at Twitter or Facebook. What’s new: Adding to this list of body issues and tissues affected by microbes, scientists publishing in Scientific Reports have discovered that gut microbes could even influence the development of Alzheimer’s disease! Maybe cheaper than some medications on market though! We'll just have to see how the science works out! 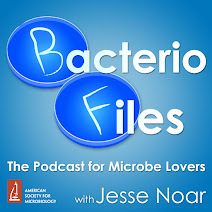 The podcast for microbe lovers: reporting on exciting news about bacteria, archaea, and sometimes even eukaryotic microbes and viruses.